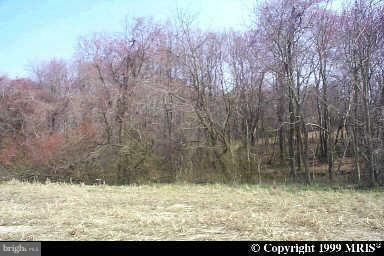 THIS 1 ACRE LOT HAS A RECORDED PERK TEST AND IS LEVEL AND 90% CLEARED. THE PERK TEST ARE IN THE FRONT HALF OF THE LOT. THE LOT IS ACROSS THE STREET FROM BRANDYWINE EQUIPMENT. IF YOU NEED A COPY OF THE PLAT OR HELP SHOWING CALL.. LISTING AGENT IS OWNER OF THE LOT. FROM HUGHESVILLE LEFT ROUTE 231 TO LEFT AQUASCO ROAD (ROUTE 381) TO THE LOT ACROSS THE STREET FROM BRANDYWINE EQUIPMENT. The approximate monthly Principal & Interest payment for this property would be $308. This payment is based on a 30-year loan at a fixed rate of 4.12 % with a down payment of $5,490. Actual lender interest rates and loan programs may vary.